One of the country's greatest entertainers Robbie Williams announced as BST's second headliner, joining Bob Dylan and Neil Young who will top the bill on Friday 12th July. 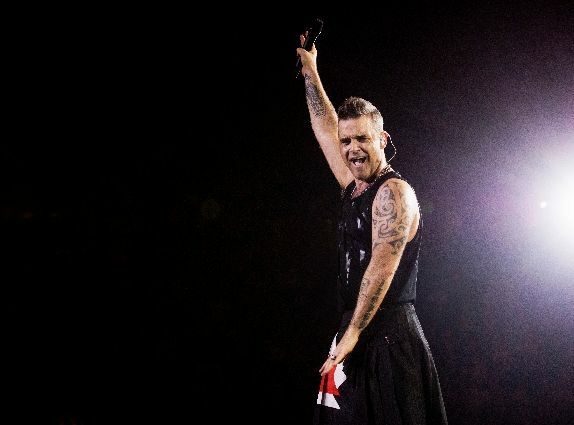 Robbie Williams will headline Hyde Park for the very first time on the Great Oak Stage on Sunday 14th July 2019, this will be his only UK open-air show of the year. Barclaycard British Summer Time, is a unique festival offering, each live music-packed weekend will be linked by a midweek programme of diverse entertainment, accessible for all to enjoy. Each weekend will see live music over four stages in ticketed events. From Monday to Thursday, the entire site, saved for the main stage, will give visitors the chance to get involved with smaller, more intimate events offering film, music, literature, sport and a specific family day that will expand the experience to genuinely appeal to the whole family.